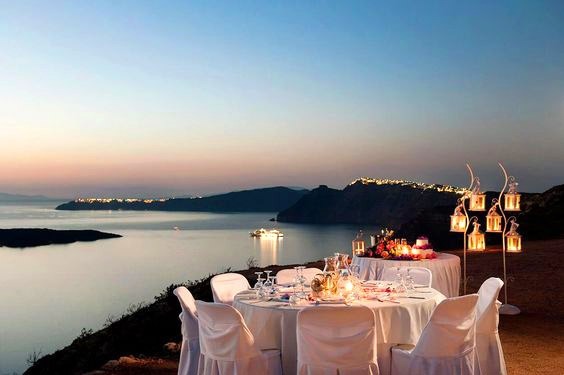 Celebrating your birthday in Greece would be a nice and special occasion, wouldn’t it? If your birthday is in Greek tourist season (from April to October), do something special and organize a holiday trip to the Greek islands. In fact, many people come to Greece for special birthdays and cornerstone years, such as their 20th, 30th, 50th birthday or any other year that is a change year in their life. For even more fun, organize a trip with your friends or your soul mate. Here are ideas on how to celebrate your birthday in Greece and what you can do for a truly special day. Can you think of something more relaxing for your birthday than laying on the beach from early in the morning until late in the evening? Enjoy the hot sun, have a refreshing cocktail, swim in the sea, listen to the music from a close beach bar or go there to dance with your friends. 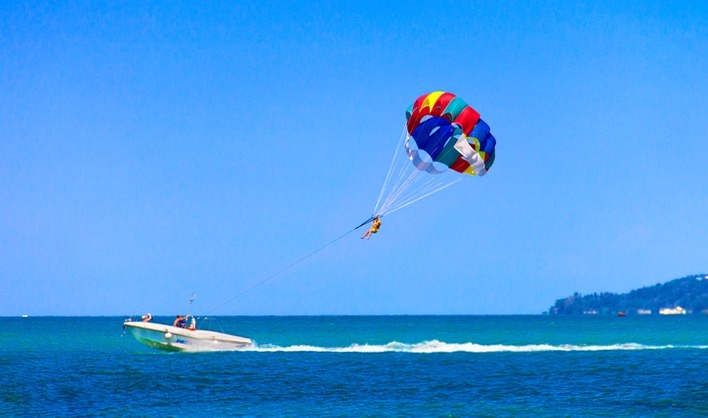 If you enjoy adrenaline, find a beach with watersports where you can try active and fun games. You will love those moments and cherish them for lifetime. Stay at the beach all this special day long until the sunset. In the evening, head for dinner at a nice restaurant and then for a drink to end that day with fun and music. Another idea for relaxation is to spend a long day at the spa. If you are staying at a spa hotel, make sure you have made a reservation for a massage therapy or a full body and face treatment. 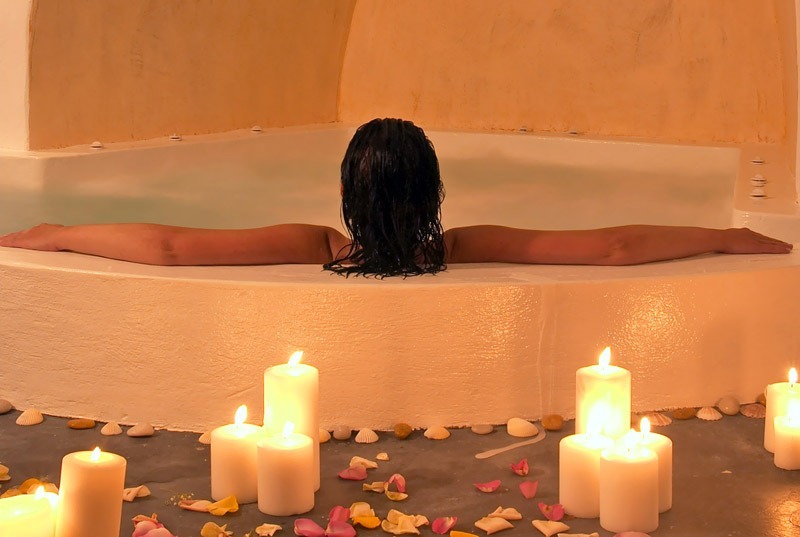 An hour at the sauna, jacuzzi or the hammam is a great supplement for true relaxation. If you have arranged a night out for dining and clubbing on that special day, few hours at the spa followed by sunbathing at the pool will get you fresh and glorious. If you have a friend who is celebrating that special day during Greek vacations, here are some ideas to prepare a nice surprise. For example, you can ask the hotel to deliver flowers, wine and a birthday cake first thing in the morning at your friend’s room, or during breakfast. Wouldn’t it be nice to start the day with this beautiful surprise? You can even ask the hotel to arrange a candlelit dinner by the pool or at a fantastic sea view veranda. Another idea is to arrange a sailing cruise for the day. 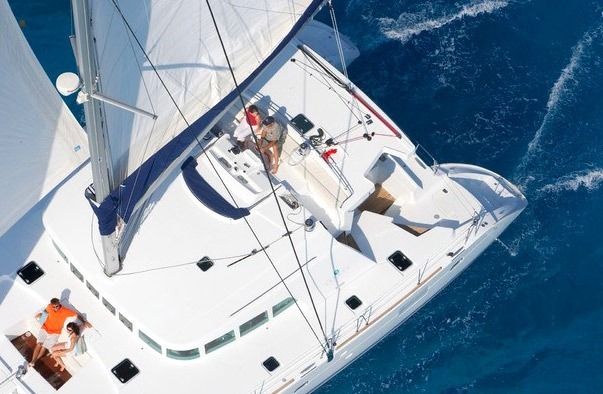 In fact, you will find many companies and yachts that offer day sailing trips, especially in the popular islands. During this trip, you will spend a long day on the yacht, feel the summer breeze, gaze at the open sea and swim in secluded beaches with fantastic water. For a very special moment, make sure you buy a birthday cake and candles locally, get it from beforehand to the restaurant, beach bar or yacht, and ask them to bring it by on an arranged time.